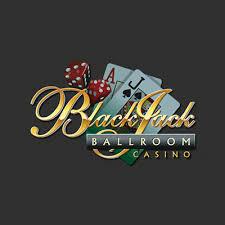 Blackjack Ballroom Casino is one of the first online gambling venues created by Rewards Group. It’s been around for more than 19 years. It’s a fully Microgaming powered casino which offers the games in both instant and downloadable option. The casino is licensed by Kahnawake Gaming Commission (it wasn’t easy to find this information since it’s hidden somewhere in the core of Earth). Those guys have a pretty outdated website design. Well, frankly speaking, there is no such a thing as “design” at all. All that you’ll see here is the green background and the information about all the casino’s aspects right on the main page. Really, who needs separate sections? Let’s put everything on the front page - it’s far more convenient. There is a huge list of restricted countries, so you better check it before deciding to play here. On the bright sight, Blackjack Ballroom Casino has an SSL encryption certificate. That means that all your data will remain out of muggers hands. They are also audited by the eCogra which means that all the games are fair and random. The support is dancing around you around the clock. You can reach them via all the standard methods such as live chat, email, and toll-free phone. By the way, there are separate numbers for the residents of Canada, Denmark, Germany, the UK, and Italy. The banking methods are in abundance here. For the withdrawal or deposit purposes, you can choose Neteller, Skrill, credit cards, bank transfer, and many other options. The blackjack Ballroom withdrawal time is 2 days. And if you want to withdraw your winnings, keep in mind that there is a limit on the cash-outs - $4,000 per week. The players will enjoy the games delivered to Blackjack Ballroom Casino directly from the Microgaming lab. There are about 500 titles such as Slots (Arctic Fortune, Avalon); Table Games (Roulette, Blackjack, Baccarat); Video Poker (Aces & Eights, Deuces Wild); Other Games (Germinator, Dawn of the Bread). Surprisingly, but the online gambling venue doesn’t offer any live games. Not even live Blackjack. The Blackjack Ballroom welcome bonus is a 100% match up to €150. Actually, there are offers on your second and third deposits: a 50% match up to €200 and a 25% match up to €150. The wagering requirements for the first-deposit-bonus are just insane - you should wager the bonus 60 times before claiming a withdrawal. But when it comes to the second and third offers, the wagering requirements are cool - 30 times the bonus amount. There is no Blackjack Ballroom free spins, and you don’t need to use any Blackjack Ballroom bonus code to claim the new player offer. Blackjack Ballroom Casino is a fine online gambling venue which would be even better if not those wagering requirements for the first-deposit-bonus and outdated website design. So, if you don’t mind the drawbacks, feel free to visit the website.